I wonder what it will take before the world truly wakes up to the horror, the corruption, the expense, the pointlessness, the total wrongness-in-every-way of the wind industry. 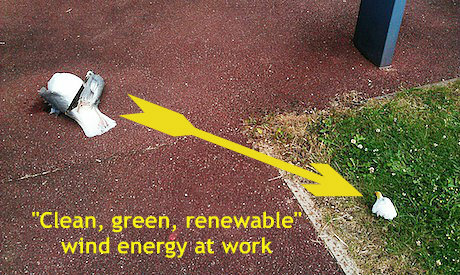 My guess – and it will happen – is the decapitation, by a rogue turbine blade, of an innocent passer-by. 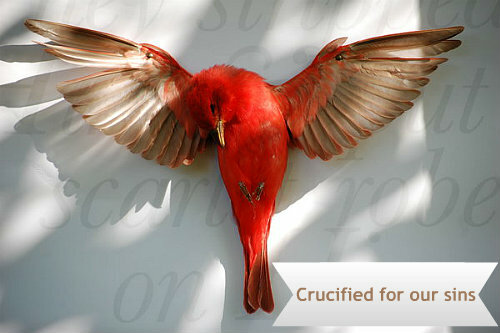 Till then, though, we have photographs like this to send the mind boggling as to why anyone, anywhere can still be so purblind as to go on championing these bat-chomping, bird-slicing eco crucifixes. What’s particularly interesting about this one is that it was taken in the constituency of one of wind power’s most fervent and tireless advocates, Caroline Lucas MP. Here’s a picture of the Brighton Bird Chomper. 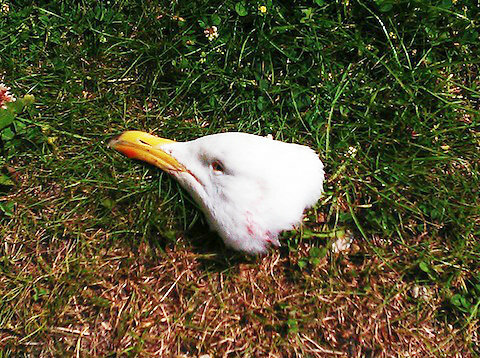 And here is another picture of the hapless gull. All quite horrific really. Been asked if it’s photoshopped. Nope. Was at Varndean College, Brighton. 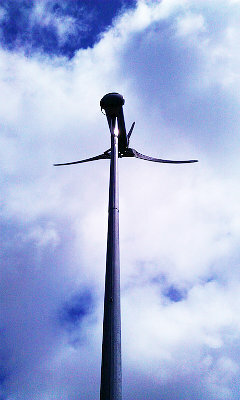 The wind turbine was going bonkers so I was filming it with the clouds moving behind the blades. I didn’t get the incident on film but then a guy called me over and said that the bird had been got. Careful, Marian. You now run the risk that someone from the wind industry will claim you chopped off that gull’s head yourself, probably because you are in the pay of Big Oil. . . .
Now it might have been interesting to ring up the RSPB for a reaction. But there’s no point because we know what they think already. As far as the RSPB is concerned, the many thousands of birds destroyed by wind turbines each year are acceptable collateral damage in the war on “climate change.” So committed is the Royal Society for the Prevention of Birds to renewable energy that it has actually teamed up with Ecotricity – the one run by Dale Vince – in a promotional deal to encourage more wind farm building. For chapter and verse, read my expose here. But the birds and bats are the least of it, terrible though the carnage is. It’s the human cost, surely, which should concern us more. Consider the plight of the communities in Canada, where the wind industry is even more aggressive than it is here. One Ontario resident, Esther Wrightman, so objected to the Golgotha of 400 foot wind turbines being planned for her area that she created a satirical website mocking the wind developer NextEra energy. She even filmed them chopping down a tree with an eagle’s nest in it in order to make way for the turbines. How did NextEra – market capitalisation $32 billion – respond to her not exactly unreasonable objections? Why by suing the pants off her, of course. Fortunately, thanks to the coverage it has been getting from Ezra Levant, Esther Wrightman’s story is becoming an international cause celebre – and the rent-seeking nasties at NextEra are getting the negative publicity they fully deserve. So the anti-wind backlash has begun, of that there’s no doubt. In Australia, where resistance is especially strong, they’re holding a rally in the next few hours in Canberra to protest against an industry described by Alby Schultz MP as “the biggest government sponsored fraud in the history of our country,” so rife with “manipulation, intimidation, lies and cover-up” that there’s enough evidence to justify a royal commission. I wish I could be there at the barricades with my Aussie mates. Sounds like it’s going to be quite an occasion. What I wish is that one of our MPs could be quite as outspoken as good old Alby. Chris Heaton Harris has fought a good fight, as have Owen Paterson, John Hayes, Peter Lilley and Glyn Davies. But they’ve all been hamstrung by the presence in the Coalition of ideological eco-loons like Ed Davey who, even now, despite the copious evidence against, persist in championing wind energy as the way forward. They’re further hamstrung by the Conservative party’s ludicrous policy fudge whereby, apparently, there is such a thing as a “wind turbine in the right place” and that this mythical beast includes all offshore wind developments. Economically, of course, offshore wind makes even less sense than onshore, not least because it requires twice the subsidy, but also because, as most engineers privately admit, these sea-based turbines are disasters waiting to happen and are highly unlikely to stay up any length of time. And while we’re on this subject, what on earth is The Times doing shilling for Big Wind with this utter non-story about how Donald Trump is apparently threatening to cost “British SMEs dear” thanks to his opposition to an offshore wind development near his golf course in Scotland? The supposedly neutral source they quote for this story is The Carbon Trust, the government quango to which we taxpayers must contribute £44 million a year to enable it to dream up inventive new ways to cripple our economy with carbon emissions reductions schemes. Yet another reason to vote UKIP, the only British party with a sensible policy on this green nonsense. HOW LONG HAS THIS BEEN going on … the development of Wind Turbine technology ? The research says, since the late1970’s early 1980’s. The Green Movement and Climate Change profiteers have propelled this industry through til now, 2013 ? Who Is going to STOP this! The “WORLD” is under CORPORATE DRIVEN CONTROL! 1. A decapitated anything, let alone a human passer-by’s head, certainly not important enough ! 2. There is still too much to “GAIN “… from the Great Big Government Wind Tax Subsidies $$$$$$ ! 3. Destruction of LAND, not important ! 4. Noise and Low Frequency Infrasound affecting all LIFE forms, still not important ! 5. Even though all wind turbines “worldwide” produce less than .05% of the world’s energy output, this is not important! 6.There has been no REAL long term job creation, not important ! 7. To date no gas, coal, oil, nuclear or hydro energy plants have decommissioned due to wind turbine energy production, not important ! 8. The use of rare minerals like neodymium in wind turbine production, not important ! ***NOTHING IS IMPORTANT TO CORPORATIONS, BUT PROFIT $$$ ! So, as long as there is money to be made, everything else be damned ! This industry has definitely put us on a terrible path of destruction and species extinction. This is why I do what I do and this is exactly why I am exposing the USFWS for what they are, 100% corrupt. To the best of my knowledge they went bad in the 1980’s when the turbine slaughter of eagles started and over half of the remaining condors disappeared soon after the turbines went up in the Tehachapi region. This same pattern has also been repeated with the disappearing whooping cranes. Once the public realizes that Washington (Interior Department) is primarily a society of sellout corporate shills, then we can get something done to stop the extinction of species from wind turbines. A good start for Washington would be for the FWS to stop lying about these turbines and admit how terrible they are. In the meantime the good people in communities across America should fight these people to the ends of the earth because this is where these scum bags are taking us.